This addon adds the ability to delete posts based on user. 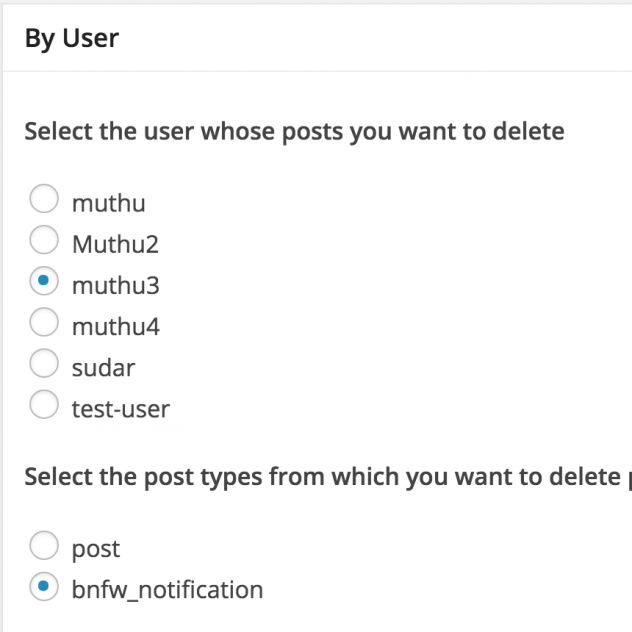 This will be useful if you have a lot of posts from different users and want to delete them based on user name. 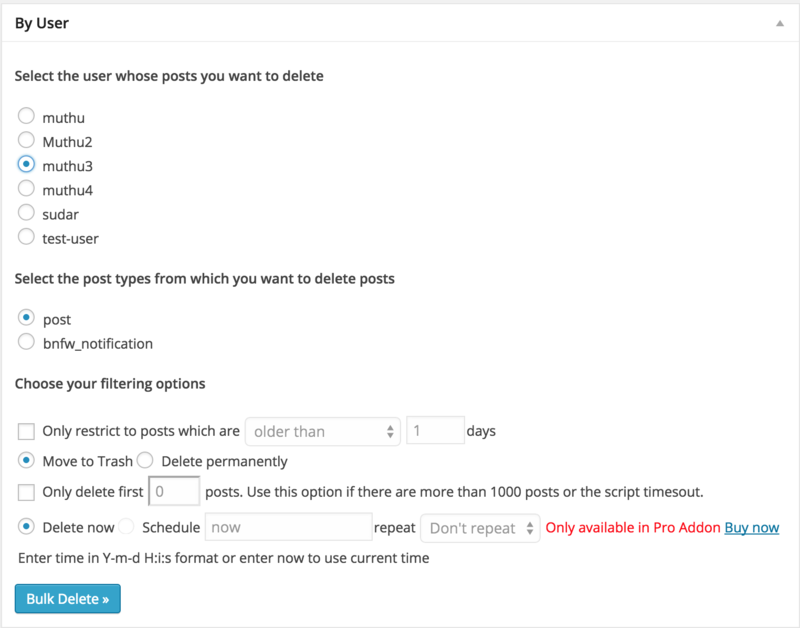 Delete all posts that were created by a specific user. 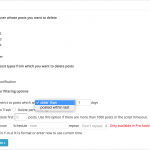 Delete all posts from a specific post type that were created by the selected user. 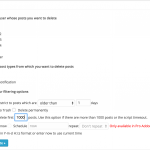 Restrict posts based on the created date. 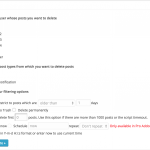 This addon only provides the ability to delete posts by user role. 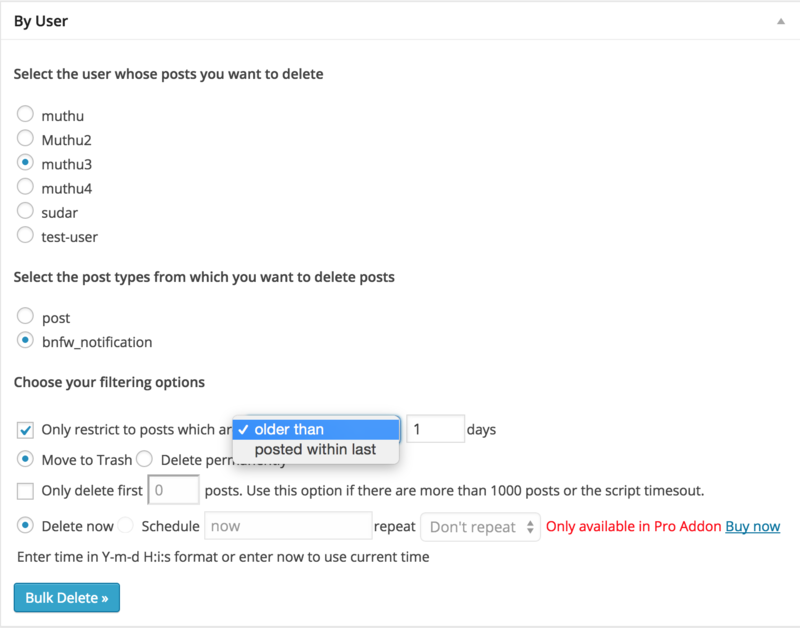 If you want to schedule deletion of posts automatically, then you would need the “Scheduler for deleting posts by user” addon. This addon requires v5.4.2 or above of Bulk Delete plugin.